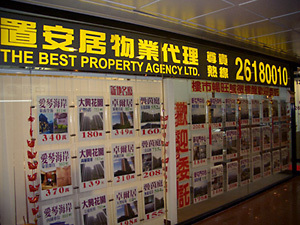 Founded in 2005, The Best Property Agency Limited is a real estate specialist in Tuen Mun and along Tuen Mun’s West Rail Line. With over 15 years of experience, all our management team members deliver in-depth market knowledge. Our team acquires instant market information including the most up-to-date transaction prices, asking prices, and property news. As we understand the importance of integrity in creation of trust, we strictly observe fair dealing and openness to guarantee the first class service to our clients. Being the biggest property agency company in New Tuen Mun Centre with a leading market share over 50%, our team delivers expert market insight and in-depth local knowledge. We pledge to provide professional service and well-arranged follow-up service to our clients. Apart from sales/ purchase and leasing, we offer free services including property valuation, mortgage, Capital Investment Entrant Scheme etc. In order to strive for better quality and higher standards, this website serves as a platform aiming to strengthen connection and communication with you and enhance your understanding of our company. We offer exclusive 24-hours enquiry service to owners of New Tuen Mun Centre. You are welcome to contact us via email bestagencyltd@biznetvigator.com or visit us in person. We will try our best to offer you the very best of service. Wish your home hunting every success. Always live in peace and contentment!